Eight out of 10 Americans support net neutrality, which makes opposing it a bad look for both politicians and corporate PR. So everyone says something along the lines of being in favor of net neutrality or an Internet Bill of Rights. Every time, however, giant Internet service providers (ISPs) and the politicians on their side, leave room for paid prioritization. Paid prioritization allows ISPs to charge for some Internet services to be sped up, while all the rest are slowed down. One of the common ways to describe it is that it creates Internet “fast lanes.” A better analogy is that ISPs get to charge protection money from large Internet companies in a classic “That’s a nice Facebook you have there, shame if something happened to it” fashion. 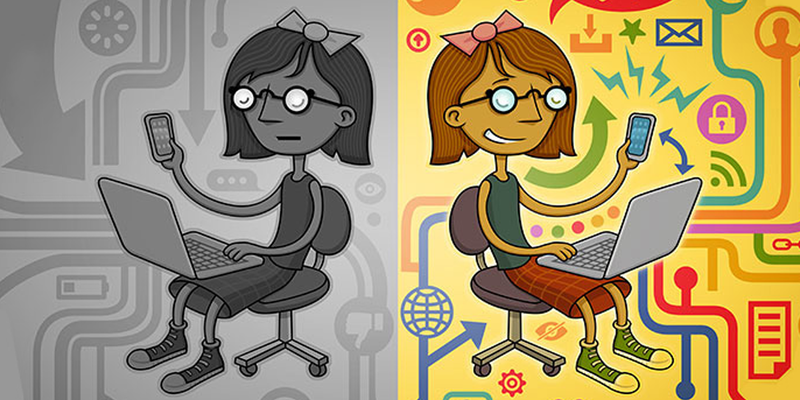 Needless to say, a ban on paid prioritization is essential to true network neutrality. So when bills trumpeting an “open” Internet don’t include it, they’re not being honest about their purpose. Neither the Representative Marsha Blackburn’s proposed bill nor Senator John Kennedy’s do anything about paid prioritization. Both bills are called “the Open Internet Preservation Act,” playing on the fact that FCC’s set of net neutrality protections—which included a paid prioritization ban—was called the “Open Internet Order.” But neither bill is adequate to actually secure an open Internet. On April 17, the House Energy and Commerce Subcommittee on Communications and Technology is holding a hearing about paid prioritization, and there are two major misconceptions to get straight before that happens. One deeply misleading argument in favor of paid prioritization is that it’s necessary for certain services. Autonomous vehicles, remote surgery, and public safety communications all got namechecked when an AT&T executive made his case, all areas where a drop in high-speed connectivity could be devastating to people’s lives. It’s a disingenuous argument because providing faster Internet connections to those kinds of services is not banned under net neutrality protections. In the 2015 Open Internet Order—and in proposed and passed state laws—ISPs could engage in “reasonable network management.” Reasonable network management means that ISPs can slow things down, speed things up, and even block things in the interests of making sure a service like remote surgery works as intended. Paid prioritization isn’t the same as making sure a surgery goes off without a hitch—it’s letting ISPs double-dip by letting them charge consumers for access to Internet services and then turn around and charge Internet services for better access to consumers. ISPs want people to be confused about the difference between the two, but make no mistake: paid prioritization isn’t about saving lives, it’s about making money. A content delivery network (CDN) is used by some Internet companies to improve their service. A CDN caches its customer’s content on servers at many locations around the Internet. Since the data is closer to the user and there’s less strain on any individual server, the user benefits by getting their content faster. The network benefits because its total traffic is made less redundant, leaving capacity for other data. Content providers benefit by reducing the strain on their servers (and having a first line of defense against attacks). By placing and maintaining these servers, CDNs create additional infrastructure then allow companies to purchase their services in a way that makes the entire Internet faster. In essence, they’re creating a bigger pie and only charging for the pieces they tacked on. In contrast, paid prioritization is a redistribution of the existing network services that an ISP provides. One person’s internet or application is only made faster under paid prioritization by slowing someone else’s down, and that’s not fair or healthy to the Internet or anyone who uses it. And while CDNs do mean that some companies are paying for their service to be faster and better, CDNs work to make the Internet work better by adding to the system in place. Paid prioritization works by slowing down or degrading things and charging companies to be treated better. Furthermore, under paid prioritization, while a company may use a CDN to actually make a service better, an ISP can undo all that work by simply refusing to deliver content without being paid extra. ISPs control that vital connection to users, acting as a chokepoint that companies have to pay. ISPs and their advocates rely on lawmakers and the public not knowing the subtle and technical distinction between “paid prioritization,” “CDNs,” and “reasonable network management” in order to appear pro-net neutrality. A law without a ban on paid prioritization is net neutrality in name only.